There must be something in the water at the moment because the free from aisles at my local supermarkets have exploded with loads of new foods! 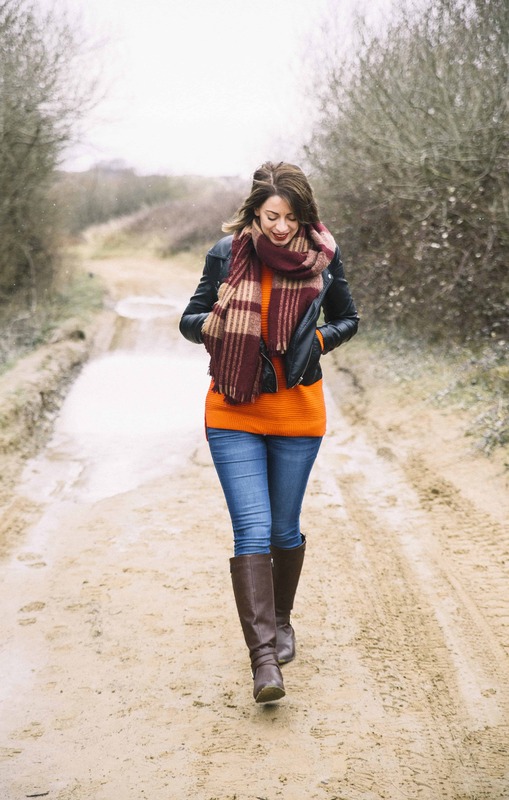 There have been so many new products on the shelves the last few weeks I thought it would be good to do a little round up on my finds. Also, the free from aisle seems to have moved in not one, but two, of my local supermarkets? 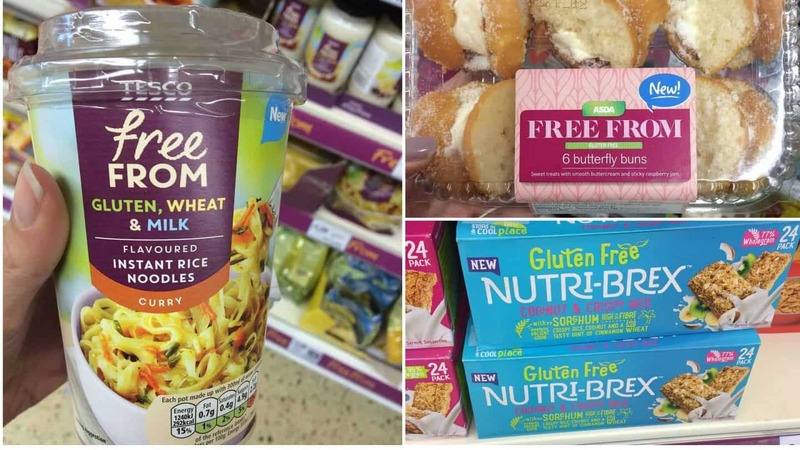 When I went to visit Morrisons in May they made a huge emphasis on bringing free from more prominently into the shop – but both my local Tesco and Asda seem to have tucked it further away towards the back, which I thought was interesting! Genius announced the launch of its new loaf this week and I quite like the look of it – it reminds me of the shape of ‘normal’ bread! Other than the fact this bread is square cut, I’m not sure what else is different about it, but I shall have to give it a try! This caused a lot of Twitter buzz when it debuted at the Allergy and Free From Show, and it looks pretty tasty! It’s kind of like the gluten free version of wheetabix, and this flavour sounds lovely. This new gluten free chocolate fudge brownie mix by Betty Crocker kind of slipped under the radar, but it looks awesome. It’s nice to see some new cooking mixes for gluten free bakers, and I like how ‘normal’ it looks! I remember making butterfly cakes at home with my mum, so it was nice to see a free from version in the aisles at Asda. I like the packaging and how they look fresh from the bakery! One of the biggest things to explode on the free from shelves this week seems to be grab-and-go convenience foods like these. It’s hard to find easy, quick, savoury foods like this when you’re coeliac so these gluten free rice pots look like they’d be handy to stock the office cupboard with! Similarly, Asda now seem to be stocking gluten free snack pots too – they have a Bolognese or a chilli tomato one. Again, they look handy for office snacks or foods to take on holiday. A few other brands like Ilumi and Kabuto have done gluten free noodle pots for ages, but this is the first supermarket own-brand one I have seen. Gluten, wheat and dairy free, this one looks nice and some of my Facebook followers certainly enjoyed theirs! These gluten free chocolate cereal shapes look great fun! It’s the kind of thing I would have loved to take camping with me as a kid – it was the only time I was allowed chocolate cereal! I’m not sure how new these are, but it’s the first time I have seen them! Asda has finally caught up with Sainsbury’s and Tesco by labelling a lot of its meats like this gluten free. Apparently they also have gluten free breaded chicken, but I haven’t found any yet! I have been dying to get hold of this for a while now and they FINALLY have it in Tesco! I can’t wait to try and it and see how it stands up to other dairy free milks. 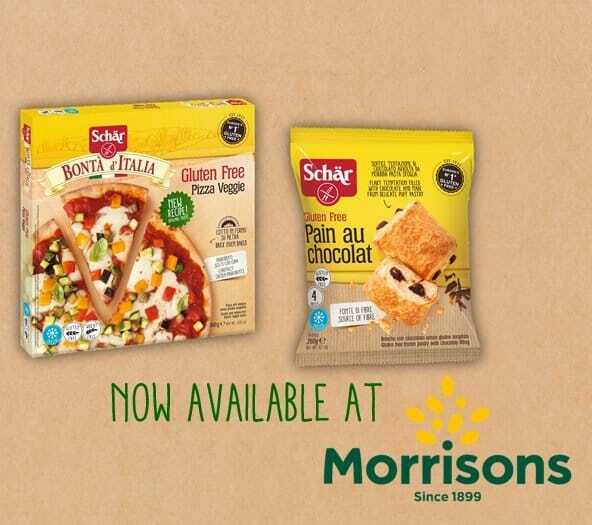 And finally, it was announced on Twitter today that Morrisons will be stocking Scar’s gluten free pain au chocolat and a veggie pizza! I hope they get these in my local store as I’d love to try them – the Schar pizzas are my favourite! If there’s something new in your free from aisle, comment below and let me know what you’ve found, and in which supermarket! 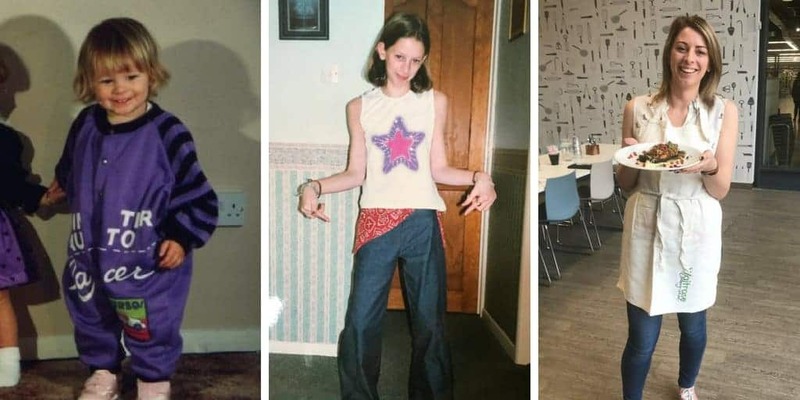 Hi Emma, these are all items which are new to my local stores in the last week or so, glad to hear some places have been lucky enough to have them sooner! It’s been a good couple of months for new products! I have found that different areas of the country have different products. When I was up in Nottingham I found the Tescos did lots of things like bread sauces etc. Tesco near me has just brought that in. Yes I did see the rather small Co-Op near me now has a whole range which is great! Being in Devon we tend to get things a little later than everyone else sadly!